Wakefield takes third place as one of the most affordable locations for single people to buy a home. Sunderland tops the chart for the cheapest place in which to purchase a property on your own, with the average one-bedroom flat costing just £53,316, according to Zoopla data. Single homeowners who purchased a property here would only need to spend £201 a month on their mortgage repayments, assuming they put down a 15% deposit and had an interest of 2% on a 25-year loan - equivalent to just 9% of the average local monthly wage. North Tyneside is the second most affordable local authority, with homes typically costing £66,573, followed by Wakefield at £69,154. with a monthly mortgage repayment of £261 or 11.53% of earnings. 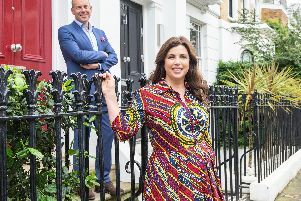 Annabel Dixon, spokesperson for Zoopla, said: “Getting on the property ladder can be challenging, and those buying on their own will no doubt feel this even more acutely. Which areas are least affordable? Unsurprisingly, the 10 most expensive local authorities for single first-time buyers outside of London, are all in the south. Hertsmere in Hertfordshire is the least affordable, with a one-bedroom flat costing £260,441, the equivalent of 35.07% of monthly local pay. Brighton and Hove is not much better, with single first-time buyers there likely to have to hand over 34.37% of their earnings in mortgage repayments, followed by Watford at 33.61%, Spelthorne at 33.5% and Oxford at 32.3%. 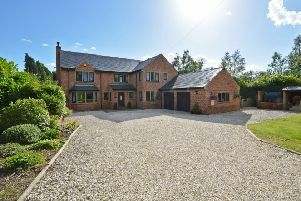 Could this spacious family home in Criggletstone be for you?